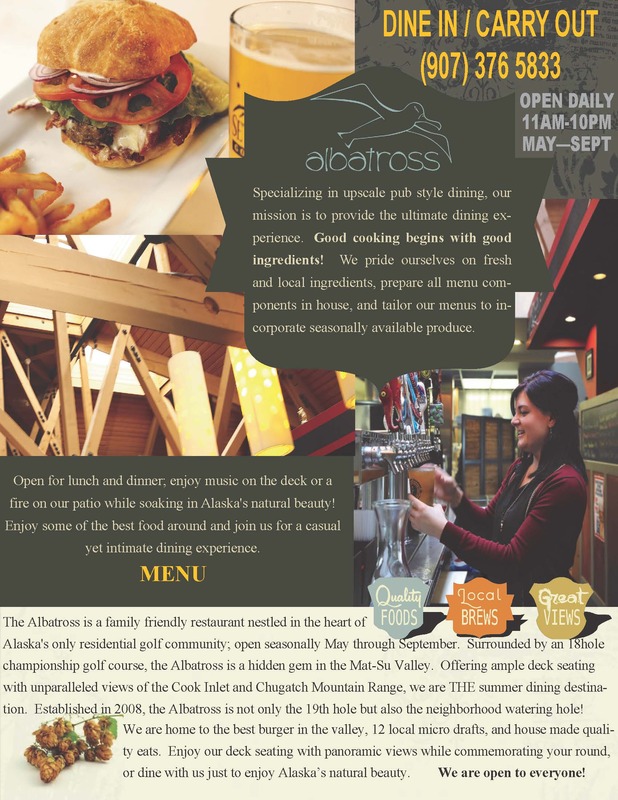 "Artisanal Food Complimented with Local Brews, Spirits, & Great Views"
The Albatross is open for the 2019 season w/ a selective menu. Full Menu debutes on May 17th. Spring Hours are 12 - 7 PM Monday - Friday and 10AM - 9 PM Saturday and Sunday. Due to the unexpected snow we have closed the Albatross till Saturday April 20th. We are now serving Spirits and offering a full Bar. We are more than just food. Where backyard games and a cozey fire compliment your evening with family and friends.